The Quality Continuous Improvement Centre for Community Education and Training, operating as the Centre for Education & Training is committed to protecting the privacy of its clients, students, volunteers, employees, and other stakeholders. We value the trust of those we deal with and recognize that maintaining this trust requires that we be transparent and accountable in how we treat the information that you choose to share with us. During the course of our various programs, services, projects and activities, we frequently gather and use personal information. Anyone from whom we collect such information should expect that it will be carefully protected. Personal information is any information that can be used to distinguish, or identify a specific individual. This information, for example, can include an individual's place of birth, languages spoken, and their résumé. Business contact information and certain publicly available information, such as name, title/position, company, address, email and fax is not considered personal information. You can access Centre for Education & Training's website home page (www.tcet.com) and browse our site without disclosing your personal data. Session Cookies are enabled on www.tcet.com in order to track use of the online resources during your session with the website. It is stored in temporary memory and is not retained after the web browser is closed. This session cookie contains information in the form of a session identification that does not personally identify the user. Requests made to www.tcet.com are automatically collected and stored in log files. This information includes date/time, resource requested, internet protocol (IP) address, and web browser version. This information may be used to analyze web traffic to the website. There is no personally identifiable information stored in these log files. Because Centre for Education & Training wants your website experience to be informational and resourceful, our website also provides a number of links to third party sites. This website contains links to other websites that are not controlled by, or related to, the Centre for Education & Training. The Centre for Education & Training is not responsible for these sites, their content, their omissions or the policies and practices engaged in by their owners and/or operators. We recommend that you read the privacy policies of these sites before making a decision to disclose your personal information to the site operators. Our hyperlinks are not to be construed as an endorsement of any other website. We encourage you to read the privacy statements of each and every website that requests personal information from you. Centre for Education & Training collects personal data you volunteer online, when you make use of, or register for our programs and services, in order to better meet your service and information needs. We may also ask you to complete certain forms or surveys that gather information about you, your business and your opinions or comments. Correspondence sent to us by you or by third parties about your activities, including letters or emails, may be collected into a file specific to you. We also use and disclose data, which does not identify individuals, for statistical purposes to develop and enhance Centre for Education & Training's programs and services. We will share aggregated demographic information with our partners and sponsors. This is not linked to any personal information that can identify any individual person. We only share this information as required by project sponsors monitoring and making decisions on continuation of funding. If you supply us with your personal contact information, you may hear from us about important information concerning the Centre for Education & Training program or service in which you are registered. You may also hear from us about other Centre for Education & Training programs and services that may interest and benefit you. If you do not wish to hear about other Centre for Education & Training programs, services or opportunities, please contact Centre for Education & Training at hrforms@tcet.com. Centre for Education & Training has various Special Events to build awareness and raise funds for Centre for Education & Training and the projects we support. Some of these events/campaigns require the gathering of personal information, and we will inform you of the purpose for which the information is being requested. We use this information only for purposes related to this event and/or other fundraising campaigns, and destroy it as soon as it is no longer required. Centre for Education & Training collects personal information for processing and receipting your fees or contributions. We also, with your consent, recognize you publicly for your contribution. If you prefer to remain anonymous, please communicate this desire when making your payment. Your consent may be expressed in writing or be implied, and you may give it to us verbally or electronically. You may withdraw your permission to collect, use and disclose your personal information at any time, subject to legal and contractual restrictions and reasonable notice. Disclosure to agents and suppliers. We may use third party agents, suppliers and service providers to facilitate the provision of our programs, products and services. For example, we may outsource the operations of one or more aspects of our website to a supplier or service provider who performs services according to our requirements. In some instances, the service provider may collect information directly from you (such as the situation where we ask a service provider to conduct a survey or contest for us). In order to provide certain services, we must disclose some of your personal information to certain service providers, such as our agents, your credit card issuer or to a processing or authorization company to charge you for the services. Since we want to service your business needs, we encourage our associates in business to follow privacy practices no less protective of all users than the practices we describe in this statement. Disclosure to affiliates. 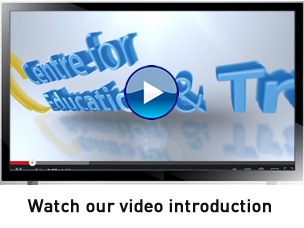 We may provide your personal information to affiliates of the Centre for Education & Training. They may use your personal information to provide you with email or other information about their products and services and other matters. In the event we share your personal information with any affiliates and subsidiaries, they will have agreed with us to protect the privacy of your personal information in a manner that is consistent with this statement. If at any time you do not wish us to make any further disclosure of your personal information to any affiliates and subsidiaries, please notify us at hrforms@tcet.com. Disclosure to business partners. We may provide your personal information to certain companies with which we have developed a business relationship and which we believe can be of service to you. Before personal information is disclosed, the recipient organization will agree with us to protect the privacy of your personal information in a manner that is consistent with this Statement. Recipient organizations may use your personal information to provide you with email or other information about their products and services and other matters such as the provision of placement or employment. If at any time you do not wish us to make any further disclosure of your personal information to such organizations, please notify us at hrforms@tcet.com. Disclosure in business transfers. We may sell or transfer some or all of the Centre for Education & Training organization or merge with another entity. As part of that transaction, we may disclose your personal information to the other entity, but will require the entity to agree to protect the privacy of your personal information in a manner that is consistent with this statement. For children under 18 years of age, we will obtain permission from a parent or legal guardian to collect and use personally identifiable information about a child. Centre for Education & Training personnel are authorized to access personal information based only on their need to deal with the information for the reason(s) for which it was obtained. Safeguards are in place to ensure that the information is not disclosed or shared more widely than is necessary to achieve the purpose for which it was gathered. We also take measures to ensure the integrity of this information is maintained. Centre for Education & Training maintains physical, electronic and administrative safeguards that are appropriate to the type of personal information we obtain from you. Centre for Education & Training staff and volunteers whose duties require them to have access to personal data are required to respect the confidentiality of personal information and handle it responsibly. If you are aware of any inaccuracy or changes in the personal information which we hold about you, please contacthrforms@tcet.com. We will make the necessary changes. The Centre for Education & Training reserves the right to change this Statement from time to time and in its sole discretion. Any amendments we make to this Statement will apply to your personal information from the time we post the amendment on our web site. For your convenience, the date of the last update to this Statement is listed below. It is your responsibility to regularly check our web site for amendments to this Statement. You agree to be bound by amendments when posted on our web site. Centre for Education & Training regularly reviews its policies and procedures to ensure we remain current with changing laws and evolving public expectations. If you have questions or concerns about personal information held by the Centre for Education & Training, or about its compliance with the Privacy Statement, they can be answered at the location you deal with. If necessary, that location may direct you to the Centre for Education & Training's Chief Privacy Officer at 905.949.0049, extension 2382 or by email atdlew@tcet.com. Ultimately the Senior Management of each Centre for Education & Training location is responsible for protecting clients' personal information in its control. They will delegate day-to-day responsibility to others within the company. Every Centre for Education & Training employee, as a condition of employment, takes responsibility for protecting customer privacy, confidentiality and security. This obligation remains in effect even after an employee leaves Centre for Education & Training. Name of the Centre for Education & Training's staff member with whom you have already discussed the issue. Centre for Education & Training will investigate and take appropriate steps in resolving your concern. Centre for Education & Training makes no representations, warranties or guarantees, express or implied, regarding the accuracy, completeness, timeliness, non-infringement or merchantability or fitness for a particular purpose or use of any information, products or services contained in this website or of any information, products or services available on websites that are accessible by links found on this website. Centre for Education & Training expressly disclaims any responsibility or liability for any loss or damage whatsoever suffered by any user of this website or any websites that are accessible by links found on this website caused by or arising from any inaccuracies or omissions in or from any use of or reliance on any information, products or services available on this website, the links to other sites contained in this website or any information, products or services available on such sites.